Getting a good pie requires a few elements, the most important of which is a really hot pizza oven. It’s not ever over that reaches the 600F that usually yield great results, but with the Pizzacraft PC0601 Pizzeria Pronto Stovetop Pizza Oven you’ll get there in 15 minutes flat… as long as you’ve got a gas stovetop. If you do, once the temp is reached, your pie will be baked in as little as 6 minutes! Most conventional ovens can only achieve temperatures of 500 F and require up to an hour to reach those heats. The Stovetop Pizza Oven can heat up to 600 F in about 15 minutes, allowing you to cook your pizza in as little as 6 minutes. 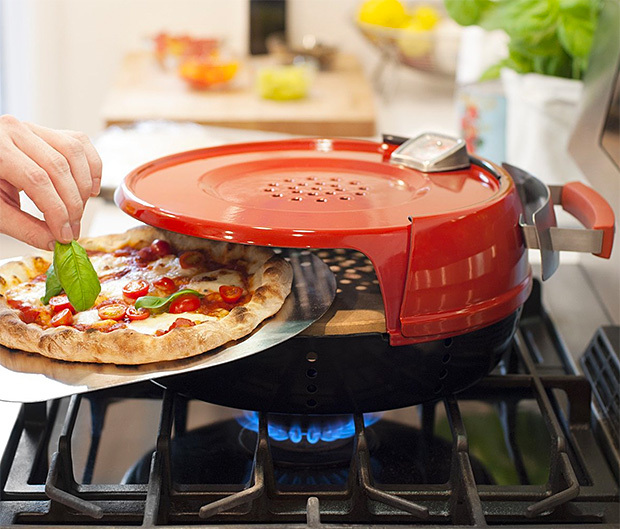 The Stovetop Pizza Oven uses one of your stovetop’s gas burners to reach cooking temperature. Simply place the oven on top of your burner and turn it on. The oven’s heat-efficient design traps and reflects heat to create the optimal pizza-cooking environment. Dual cordierite baking stones absorb the direct heat from the flame and redistribute it evenly, eliminating hot spots. The stones are separated by a layer of air to diffuse heat, and the bottom stone has a cutout for improved airflow. The built-in thermometer lets you know when it’s time to cook, and the moisture vent in the top prevents your pizza from becoming soggy. With the Pizzeria Pronto Stovetop Pizza Oven, you can get pizzeria-perfect pizza in your own home. The device will yield 12 inch pizzas reliably, and costs a very reasonable $161. There’s an entire sub-culture devoted to discussing ways of crafting the perfect espresso. Very often these guys talk about maintaining the perfect temperature, and perfect pressure during the extraction process; it’s a very precise technique some manufacturers claim to have honed to a science. 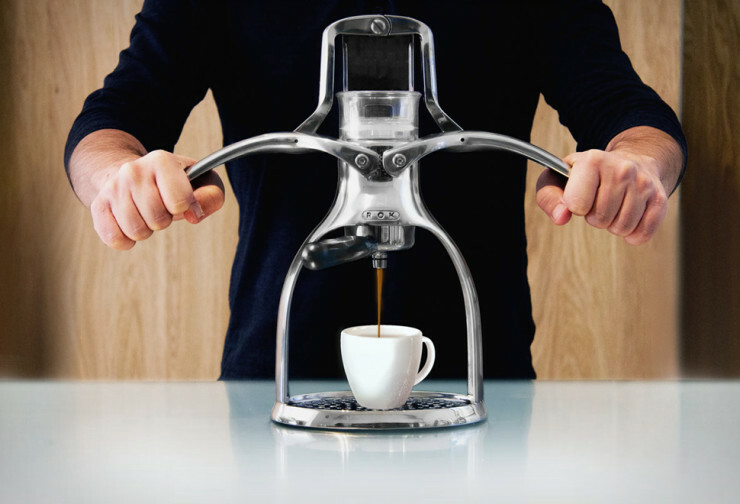 The ROK Espresso Maker takes a completely different approach; call it an artistic interpretation of coffee extraction. See, the device uses no electricity. It’s up to you to boil your own water. More importantly, it’s also up to you to press this water through your ground beans at the exact rate and pressure you feel will yield the right flavour for your buds. You can either press the arms all the way down and let the mechanism do its thing, or you can do a combination of other actions to vary the extraction process, from over-filling the reservoir, to pausing for a few seconds to let the water infuse into the grind. If modern machines are the epitome of automation, the ROK is the exact opposite, letting you wrestle with all the variables for a truly hands-on approach to coffee making. It’s $155. Still looking for Holiday presents? 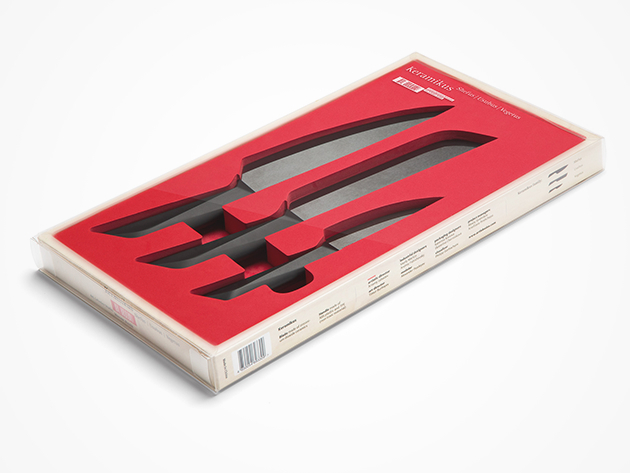 If you’ve got anyone in your entourage who likes to cook, you might want to present them with the Keramikus Knife Set. Aside from looking awesome, it’s packed with great features. Show those carrots who’s boss. 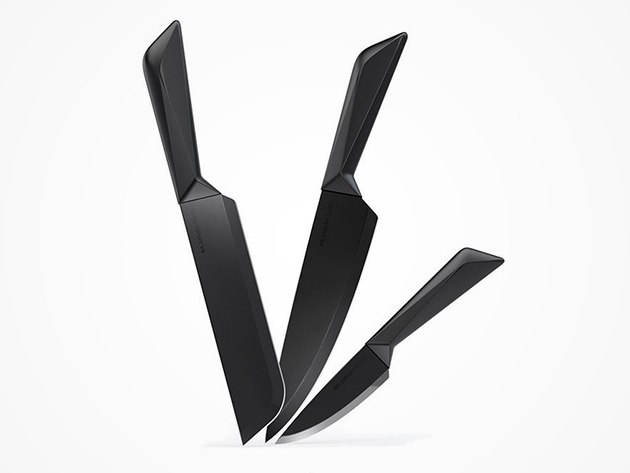 The Keramikus ceramic knives are next-level strong and custom designed and built for a huge range of slicing and dicing. 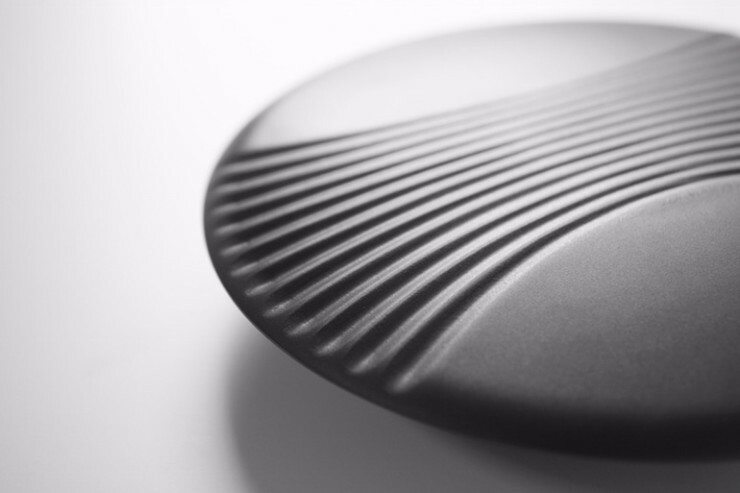 The black ceramic is furnace-hardened to make them incredibly strong and durable to the point that they simply don’t rust or spread any bacteria. That’s one awesome blade, any way you slice it. Normally you’d have to pay $160 for this high-end set, but after today’s half-off deal, it’s only $79.99. By David Ponce on 10/22/15 • Leave a comment! Well… no, they’re not. Because let’s face it, Darth Vader wouldn’t be cooking now, would he? 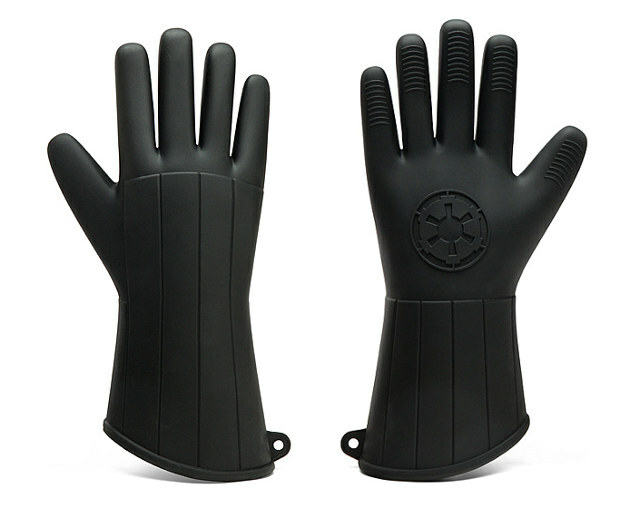 But if you want to stick your hands in a hot oven, we bet you won’t be able to use The Force so you’re going to need these silicon oven mitts made to look like Vader’s gloves; there’s even the Imperial Logo on the palm. Unfortunately, it seems it’s for right handed individuals only, but we suppose that for grabbing things out of the oven, lefties can manage with their non-dominant hand. It’s $15. 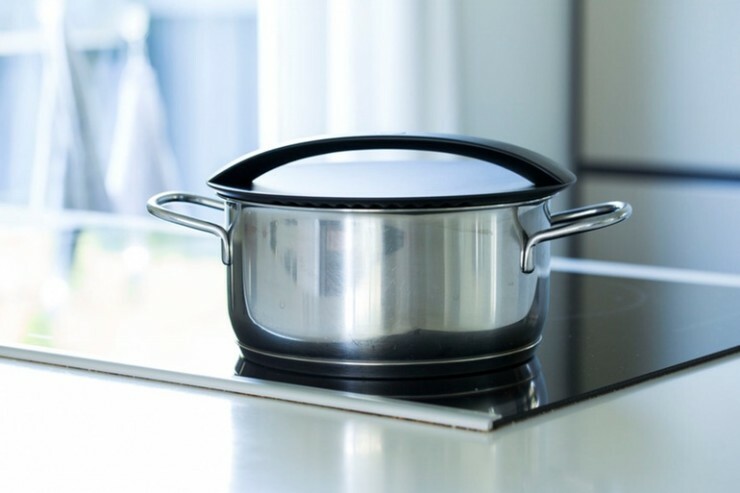 Usually when you get a pot, you have to keep track of its lid forever because no other one will fit. And admit it: you’ve used a large plate instead of the lid more than once because you couldn’t find it, haven’t you? 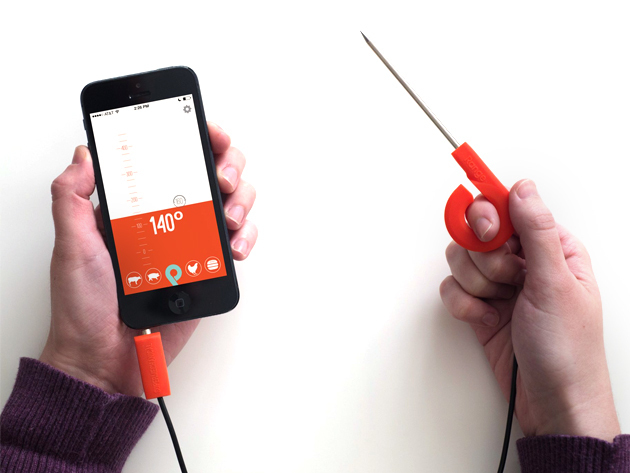 With OneLid, you’ll just have to keep track of one, for any pots up to 22cm (8.6 in.) in diameter. It fits any pot because the underside is convex and is made of silicone with a Nylon core. It’ll sit and partially seal any sized pot and will redirect boiling water back into the mix. Special grooves allow for just the right amount of steam to escape and prevent a boil-over, while they also do double-duty as a strainer. The silicone construction means you won’t be hearing any metal-on-metal clangs. The best part is you’ll only have to pledge $30 to secure your own, with shipping in February 2016. By David Ponce on 08/27/15 • Leave a comment! Scooping ice cream: it’s a serious first-world problem. Heck, it could even be a second world problem, since these guys do have ice cream, right? The issue is that most scoops get as cold as the frozen cream they’re trying to extract, making hard to carve a ball. The ScoopTHAT! II however features a biodegradable gel in the handle that transfers its heat to a special “thermo-ring” around the edges of the scooping bowl. This keeps the edge hot, cutting through ice cream like a hot knife through butter. The non-stick bowl prevents the frozen treat to stay glued, simply and easily dropping onto your awaiting cup or cone. There’s no need to heat the ScoopTHAT! II as the large gel heat basin in the handle will just absorb the cold as you scoop away. It’s a brilliant design, and better yet it’s super cheap at $25. 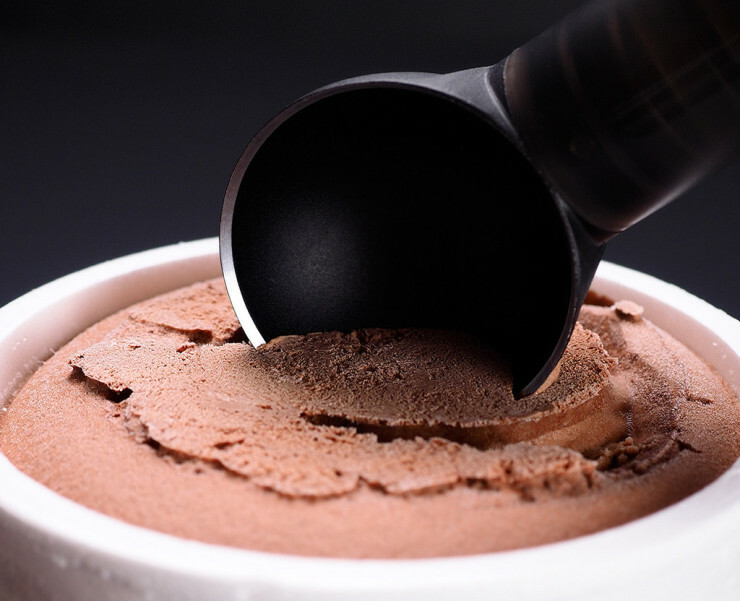 Sure that may seem like a lot for an ice cream scoop, but consider the frustrations of the alternative and you might see the value. 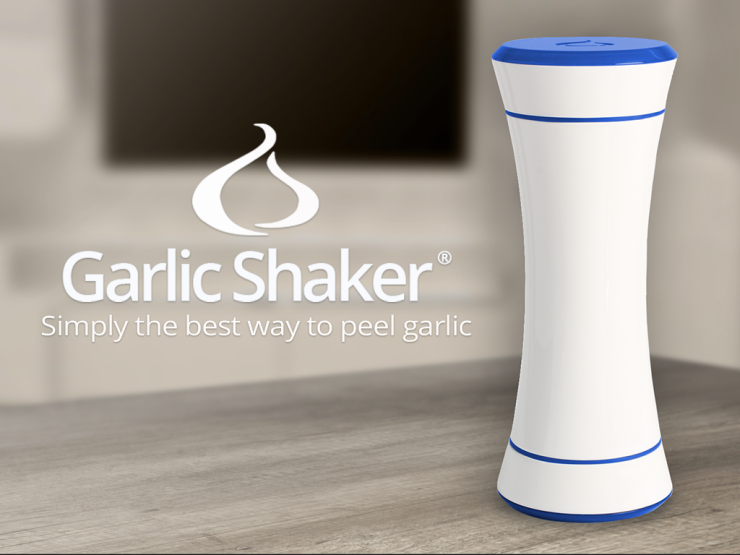 This Contraption is “The iPhone of Garlic Peelers”? Yeah… that’s a bold claim, but that’s what was in the email sent to us. Bold enough, in fact, to pique our interest and make us look at the thing. And while it’s a far cry from any Apple-type product, we suppose in the world of garlic peelers, this product does stand out. 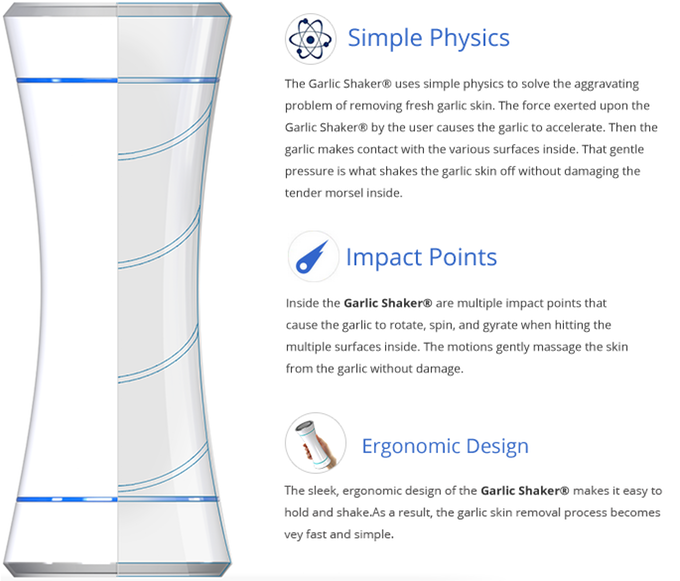 It’s a hollow tube with special grooves on the inside that peel a whole garlic bulb in 30 seconds. You simply break apart the head of garlic, toss the cloves in, close the lids and shake for 10 to 30 seconds. The grooves will impact the cloves in just the right way, removing the skin in the process. You’re left with a perfectly peeled pack of cloves in less time than it would take you to manually peel just one. The fact that both ends open up makes it easy to wash, and the design doesn’t hurt the eyes. The best part is that a $25 pledge will get you one. By David Ponce on 07/17/15 • Leave a comment! 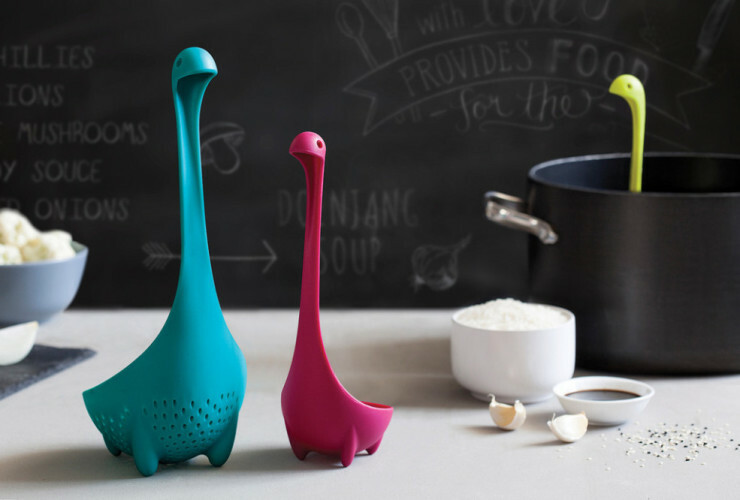 You guys remember the Nessie Ladle? 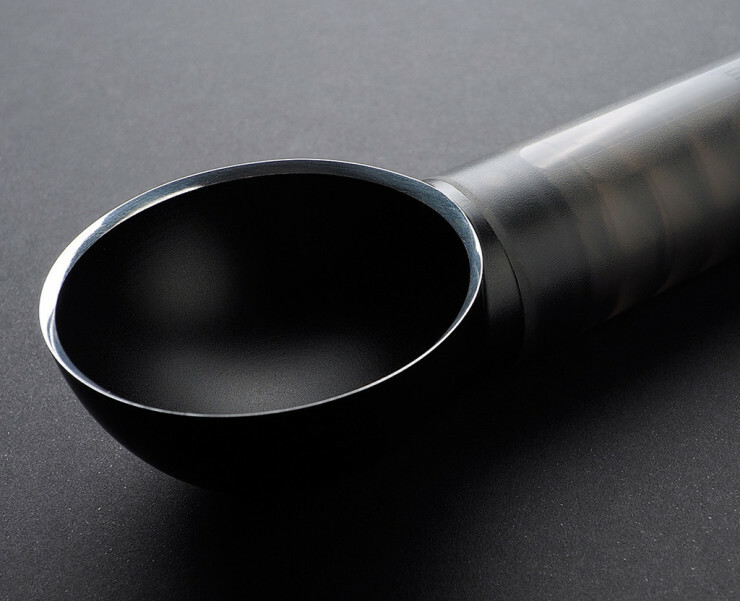 It was the super popular ladle that looked like the Loch Ness monster poking out of your soup pot; quirky design and decent price made the thing a hit. And like a Hollywood movie, there’s now a sequel: the Mamma Nessie Colander. 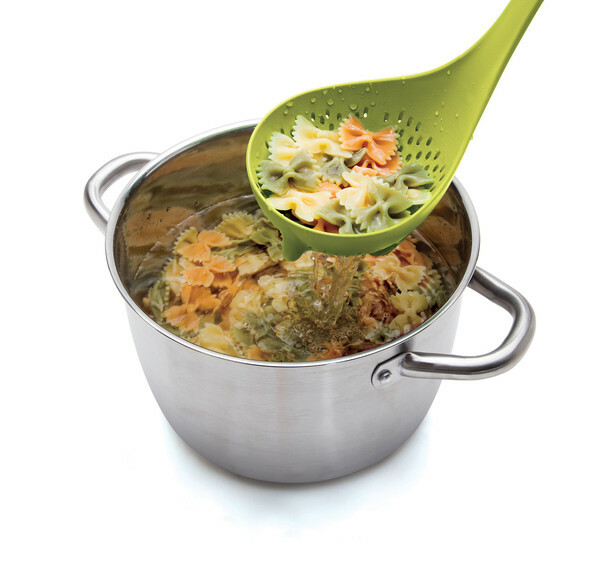 It helps you drain your pasta like a good colander should, and while it doesn’t share the same “poking-its-head-out-of-water” magic that the ladle had, it will make a great addition to it if you already own the smaller utensil. They easily nest into one another, and the BPA-free toughened nylon it’s made of should last you years. Considering it’s only $18.90, we think it’s a steal.